I am looking for the first extant record of Sunday being referred to specifically as the "Sabbath" or "Christian Sabbath"
I am not asking which day the early church gathered. I am not asking which day is the Christian Sabbath. I am not looking for evidence of the transfer of observance or meaning of the Sabbath from Saturday to Sunday, but for evidence of the transfer of title or label of "Sabbath" to Sunday. I am asking for the first record of Sunday being labeled the Christian equivalent of the Jewish Sabbath. It is quite evident to me that in many early church writings that the idea of the Jewish Sabbath is actually rejected. Sunday was certainly a common day of gathering and to the Jewish believers the seventh day would still have possibly been thought of as the Sabbath day. But from Justin Martyr through the Council of Laodicea a Judaizing celebration of any Sabbath is discouraged and the true Sabbath is not any singular day, but as a status in Christ and an attitude of repentance and rest in Him. I understand many may even disagree with the above statements, but I tell you this so you can understand what kind of statement I am looking for and the question can be answered regardless. At some point in Christian theology someone labeled Sunday not just a day to gather or even a day to rest and enjoy a Sabbath, but someone labeled it as the Christian Sabbath. A true shift of the same Sabbath from the Jewish seventh day to a Christian first day. Also many may agree with me, even to the point that the idea of Sunday Sabbath seems foreign or wrong. This question remains agnostic on which is right and on what the source may have truly meant. Finding the earliest record would certainly impact answers to related questions, but all that is outside the bounds of this question. When is Sunday first recorded as being labeled the Sabbath? Not just a day of rest or gathering or worship. Today, many Christian traditions believe Sunday is the Christian Sabbath day. He has particularly appointed one day in seven, for a Sabbath, to be kept holy unto him: which, from the beginning of the world to the resurrection of Christ, was the last day of the week: and, from the resurrection of Christ, was changed into the first day of the week, which, in Scripture, is called the Lord's Day, and is to be continued to the end of the world, as the Christian Sabbath. And for a holy day of rest, ...he determined the observation of the first day of the week; ... Now, as God’s rest, and his being refreshed in his work, on the seventh day of old, ... so the rest of our Lord Jesus Christ, and his being refreshed in and from his works, on the first day, is a sufficient indication of the precise day of rest to be observed under the dispensation of the new covenant, now confirmed and established (pp. 409-410). I'm not entirely sure that is how Owen meant it but that is how that part alone could be understood (the treatise is quite long, the above link is a summary with quotations). So perhaps this is a "missing link" of sorts in the direction of the earlier quotes. Dies Dominica, dies, viz. resurrectionis, quae suae salvationis causa exstitit, Christianorum Sabbatum est. The Lord's day, that is, the day of resurrection, which happened for the sake of their salvation, is the Christians' Sabbath. Technically the translation of the last phrase as "the Christian Sabbath" is not possible; Christianorum is genitive (indicating posession) and not an adjective. But "the Christians' Sabbath" is so similar that Heylyn considered the phrases essentially equivalent, and we might as well. Granted, Haylyn is quick to argue that Alfonsi's phrase was meant only analogically, in the sense that Easter is the Christian Passover. But Kenneth Parker relates several other pre-Reformation authors who connected the Sabbath and Sunday (though not with the phrase "Christian Sabbath"), such as a 6th century homilist (18), the author of Dives and Pauper, and Archbishop Arundal (21). These last comments serve only to provide a bit of context – the first use of a phrase like that requested comes from the 12th century, in the writings of Petrus Alphonsi. The idea of Sunday as rest, like Sabbath, traces back to the first centuries of Christianity. Eusebius, writing circa 330 CE, "joins" the day of Sunday (aka at that time as the Lord's Day) with its rest, as opposed to the Sabbath. Synod of Laodicea 29th Canon held in 364 CE determined this also ties the idea of Sabbath rest to Sunday rest. Canon XXIX. Christians must not judaize by resting on the Sabbath, but must work on that day, rather honouring the Lord’s Day; and, if they can, resting then as Christians. But if any shall be found to be judaizers, let them be anathema from Christ. Not the answer you're looking for? 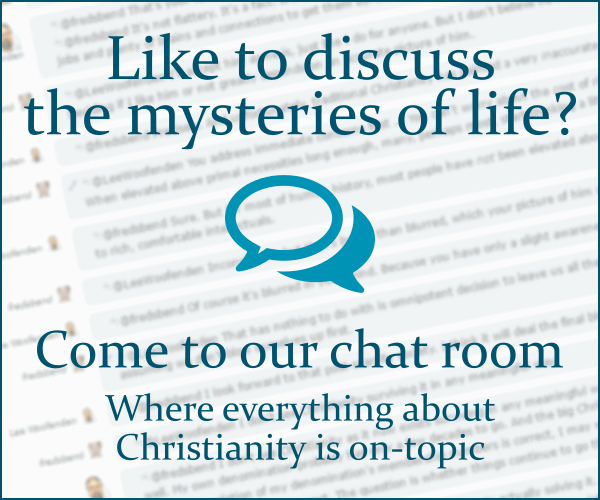 Browse other questions tagged church-history origin sabbath sunday or ask your own question. Is the LDS observance of the Sabbath on Sunday based on revelation?